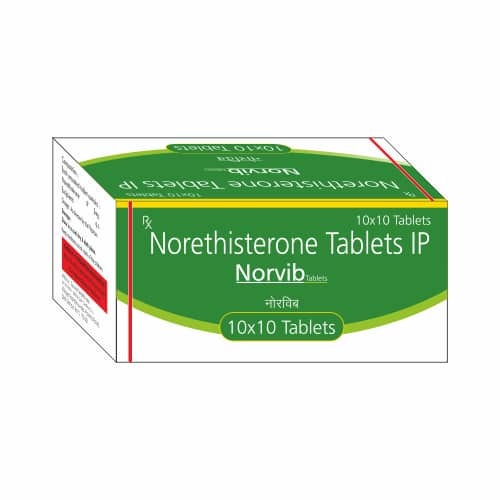 Norethisterone (INN, BAN), also known as Norethindrone (USAN), is a synthetic progestational hormone with actions similar to those of progesterone but functioning as a more potent inhibitor of ovulation. It has weak estrogenic and androgenic properties. The hormone has been used in treating amenorrhea, functional uterine bleeding, endometriosis, and for contraception. For the treatment of secondary amenorrhea, endometriosis, and abnormal uterine bleeding due to hormonal imbalance in the absence of organic pathology, such as submucous fibroids or uterine cancer.